As you know, I’ve been creating a load of bright looks recently – most of which have been created using this incredible rainbow palette. 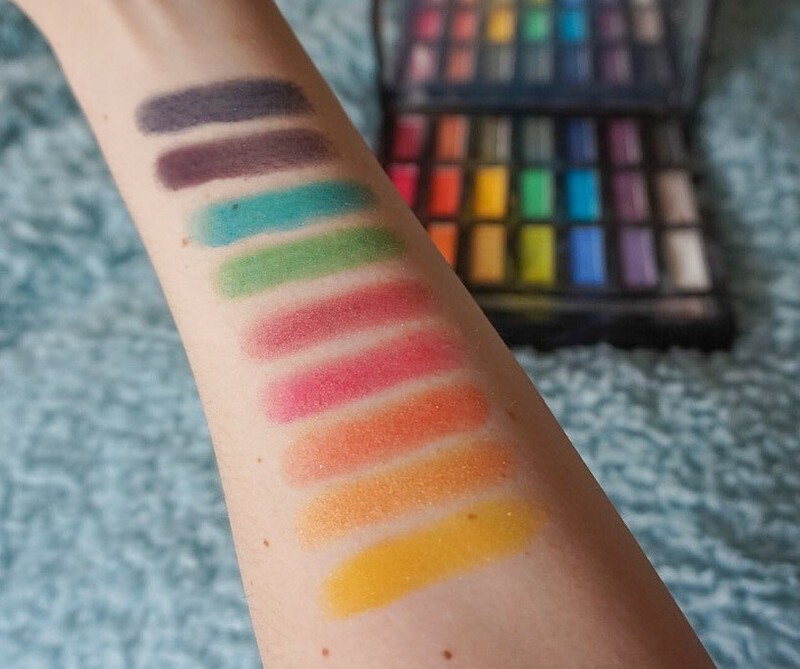 Name a colour and I bet you can find the highly pigmented eyeshadow to match in this 21 shadow palette. Granted, it’s a little pricey – I think it’s just over £40 in the UK, and I actually managed to purchase this with 30% off at Debenhams a while ago (so lucky) but I would 100% recommend making the investment… you won’t look back. The yellow shadow (Calavera) has a gorgeous orange tint to it – it’s a warm shade which blends flawlessly with the orange (Jones) and red (Seize) shades to create a fiery eyeshadow look. In comparison, the blues (Metamorphosis, Blindsided and Minx) all offer something different – one a light sky blue tone, another a vibrant blue with a green tint and the final an intense navy blue shade. On the left-hand side of the palette, three pink tones can be found – Gossip is an intense fuchsia pink shade, whereas Alchemy and Paranoia both have gorgeous purple tints to them. But I think my favourite colours have to be the two greens – Mean (light) and Hatter (dark) which blend so gorgeously with just about any shade! 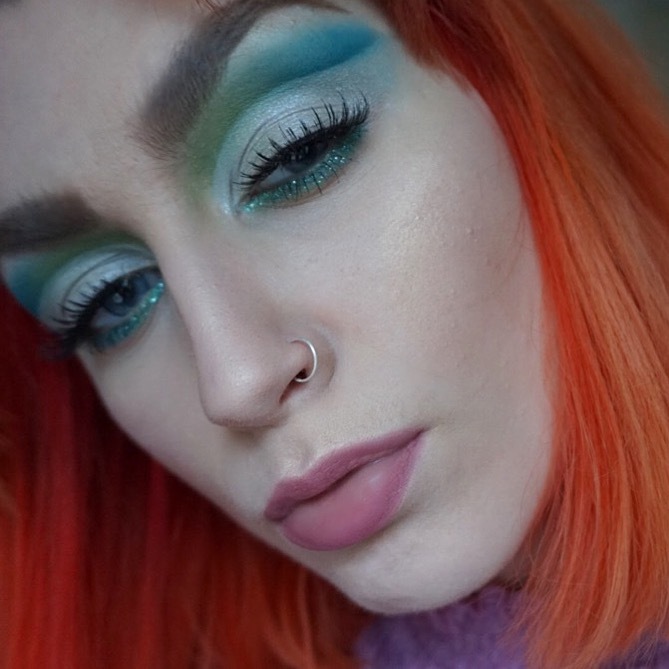 You’ll see that I used the shade ‘Mean’ in the blue-green cut-crease above (along with the silver called ‘Iced’), and both shades in the first (pink-green) look on this blog post. 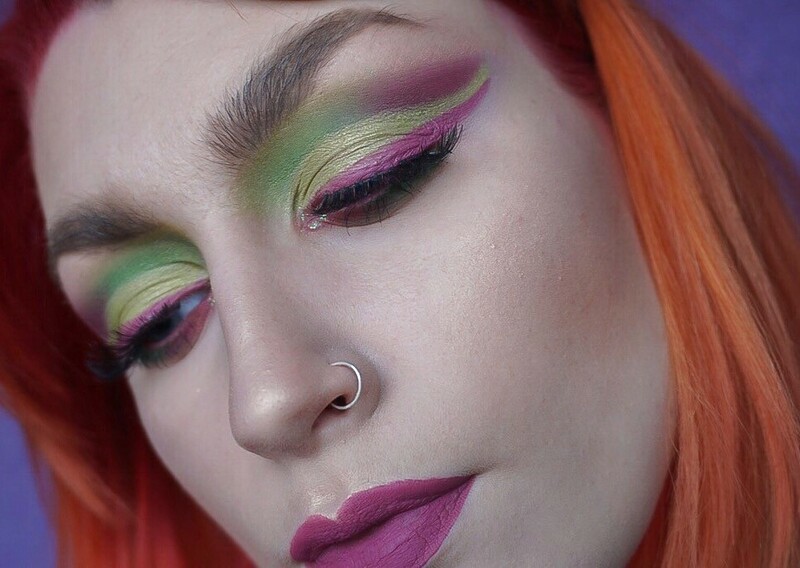 Let me know what you think of these looks and if you’d like to know more about this palette in the comment space below! In love of your looks!